All 4-H youth members, volunteers and staff may apply! Projects must be from the Qualifying Project List and focus on a service learning project. Service Learning projects address a community issue and focus on creating and carrying out a plan to address the issue. Projects must be from the Qualifying Project List with a focus on a person's spark! Sparks are what help youth see the potential within themselves. 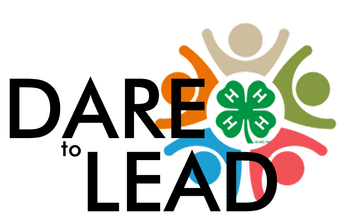 See the JOANN 4-H Project Grants webpage for more information on terms, deadlines, FAQs, and the list of awardees from Cycle 1. This will be the last cycle of JOANN-4-H mini-grants - don't miss out! Go to your local JOANN store from March 1 to April 30, 2019 to purchase Clovers for Kids at the register. A $1 clover is a donation for 4-H – or give $4 and receive a coupon for $4 off your next purchase of $10 or more. Win-win! Encourage friends and families to buy a Clover for Kids to support 4-H. Proceeds from these clover sales will support State Field Day and State Fashion Revue. Also: Download the JOANN app on your smartphone and sign up for the 4-H Rewards card. It gives you 15% off your purchase and a percentage comes back to 4-H. Win-win! See joann.com/4-H for more details. Interested in joining the Planning Team for the 2020 Youth Summits? The 2019 National 4-H Hall of Fame Induction Ceremony is scheduled for October 11, 2019 at the National 4-H Youth Conference Center in Chevy Chase, Maryland. Applications are being accepted for a 4-H member to serve as the master/mistress of ceremonies and one to provide entertainment (vocal or instrumental) for this event. The State 4-H Director may nominate one candidate for consideration for each. If multiple applications are received the State 4-H Incentives and Recognition Advisory Committee will review and recommend nominees to Shannon Horrillo, Statewide 4-H Director for final selection. The State 4-H Office will submit the application packets from our states’ nominees by the May 1st deadline. The State 4-H Advisory Committees provide leadership and offer insight, review, and input to the Statewide 4-H Director for the operation and management of the 4-H Youth Development Program. *Please note that the Healthy Living and the Volunteer Development Advisory Committees are not recruiting. 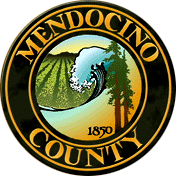 Learn more on the State Advisory Committee Page.